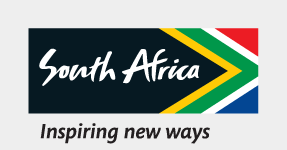 WWelcome to the modern and cultural heart of South Africa’s largest city. Home to Arts on Main, Main Street Life, 12 Decades Hotel, Revolution House, The Main Change, Fox Street Studios and more. The Maboneng Precinct is a new haven of creativity and commerce in Johannesburg, the City of Gold. If you’re in Johannesburg, a trip to the Maboneng Precinct is an absolute must. It’s a fantastic example of how the development of an integrated, mixed-use community, where people play, live and work, can define a modernised urban way of life. Maboneng is a unique mix of developments that form a part of the city’s exciting regeneration. These include studios, art galleries, boutique shops, restaurants and coffee bars that are fuelling an inner-city lifestyle with entrepreneurship and creativity. The precinct’s pioneer development, Arts on Main, combines creative office spaces with studios (including those of William Kentridge, Mikhael Subotzky and Kim Lieberman), galleries and shops, transforming old warehouses into an exciting space where Jozi’s creative community comes together to work, play and share ideas. AAlso in the precinct, Main Street Life on Fox Street is a housing and lifestyle development with panoramic views of Johannesburg. Residents share this building with a ground-floor exhibition space, restaurants, the Bioscope (the city’s only independent cinema) and the POPArt Theatre. Fox Street Studios, just next door, features retail space that also accommodates restaurants, fashion and design stores, as well as the Precinct’s own community centre. The nearby 12 Decades Hotel has rooms that have been conceptualised and designed by some of South Africa’s top artists and designers, including Love Jozi, Black Coffee and Dokter + Misses. AAnother development in the precinct is an office building called Main Change, where you can find entrepreneurs and innovators in a collaborative working environment. If you want to find your centre, this spot also features a spa, meditation zone, holistic healing centre, health food café and fashion and furniture stores. Revolution House is another example of how the precinct mixes living and working spaces. Here the apartments share their building with film and sound studios, The Revolution Barber, New Brow art and fashion store and the Black Box event space. One of the most recent additions to the area, MOAD (Museum of African Design) is an urban museum space designed to showcase African contemporary art and design.